This January 22-27, 2019, youth from around the world will converge on Panama City, Panama, to celebrate World Youth Day. Pilgrims will have the opportunity to engage in catechesis with bishops and participate in prayer and Mass with Pope Francis as well as experience the local culture (and cuisine!) of Central America. But what about those young people who, for various reasons, cannot travel to the event? 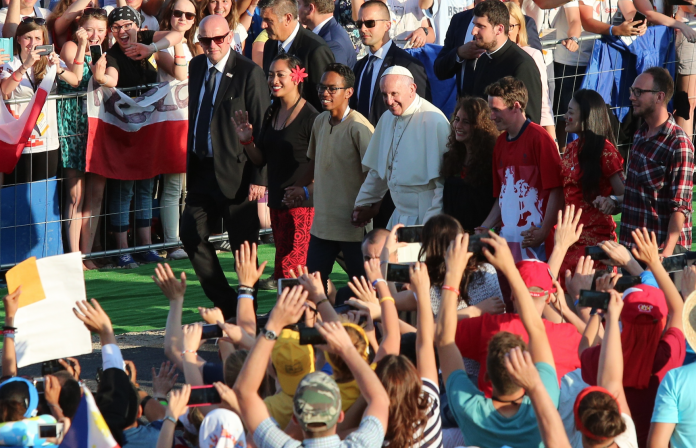 How can parishes and catechetical programs help all the young faithful get a taste of the World Youth Day experience? The World Youth Day 2019 patron saints exemplify the diversity of the lives of the saints. Students can research the lives of these holy people and develop their own petitions based on their lives and charisms. In the weeks leading up to World Youth Day, encourage young people and others in your parish to pray the WYD Pilgrim Prayer. Not just for those traveling to Panama, the prayer asks for God’s blessings on all young people and for the Church to renew her commitment to the Gospel message. 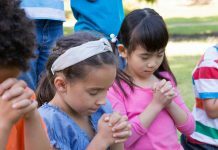 You might even have a young person design a prayer card that can be printed and handed out. World Youth Day isn’t just about teaching the young faithful; it’s about listening to them, as well. Catechetical sessions can be enlivened by giving young people the opportunity to share their own stories of faith. Leonard DeLorenzo’s book Witness: Learning to Tell the Stories of Grace That Illumine Our Lives offers great suggestions for helping young people craft a faith story. If you have permission, you might even consider recording the stories to share on your parish’s website or social media platforms. Some of the highlights of World Youth Day include catechetical sessions, praying the Stations of the Cross, exposition and adoration of the Blessed Sacrament, and participation in the Mass. These activities can be replicated (in a smaller way, of course!) at a parish by inviting a priest or deacon to give a special formation talk to youth, arranging for prayer times in the church, and inviting young people to serve as liturgical ministers at a particular Sunday Mass. These are especially good opportunities to allow young people to exercise pastoral leadership by organizing these events. The official 2019 World Youth Day hymn, “He aquí la sierva del Señor, hágase en mí según tu palabra” (“I am the handmaid of the Lord; let it be done to me according to your word”), composed by Abdiel Jiménez, a Panamanian catechist and psalmist, is available at this link. 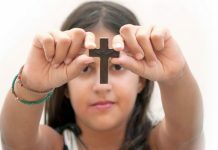 It can be incorporated into praise and prayer opportunities in the weeks leading up to the pilgrimage to connect young people with the pilgrims from around the world who will be at the event. You can also use it as the basis for a scriptural reflection or lectio divina opportunity on the passage the song takes inspiration from, Luke 1:38. World Youth Day has an official presence on Facebook (WorldYouthDaycom) and Twitter (@WYDInfo). Follow along during the pilgrimage, and be sure to share interesting new items or pictures on your personal or parish social media accounts. While not everyone can go to Panama, there is probably a local shrine or significant religious site somewhere close by. Organize a day trip with youth to explore the Catholic history in your area, such as the grave of a notable religious figure, a shrine to a saint, or the cathedral. If possible, call ahead to see if a knowledgeable guide can show your group around. Whether youth from your parish make it to Panama or just experience a local World Youth Day, have them share their experiences, what they have learned, and how they have grown in their faith with the parish community. Host an evening for parents and other interested adults to hear from the youth. Be sure to help young people reflect and prepare ahead of time, and consider recording the session to share. Jonathan F. Sullivan is the director of parish ministries, services, and catechesis for the Diocese of Lafayette-in-Indiana. He blogs at JonathanFSullivan.com. This article was originally published in Catechist magazine, November-December, 2018.